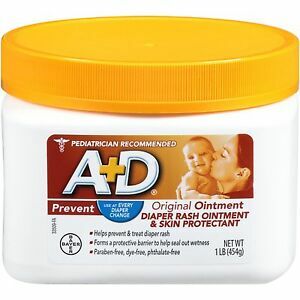 A + D ointment is designed to soothe and relieve the symptoms of diaper rash for babies. Created by Bayer, this golden cream is available in an 1 pound jar that should last for some time. This cream can be used on male and/or female babies to help alleviate the discomfort that diaper rash can bring a young infant. Liczba dostępnych przedmiotów: 230. Wpisz liczbę mniejszą lub równą 230. Szacowana dostawa: w ciągu 2-11 dni robocz.